This afternoon, High Court presided over by Justice Stephen Mubiru granted bail to 12 of the 32 people. 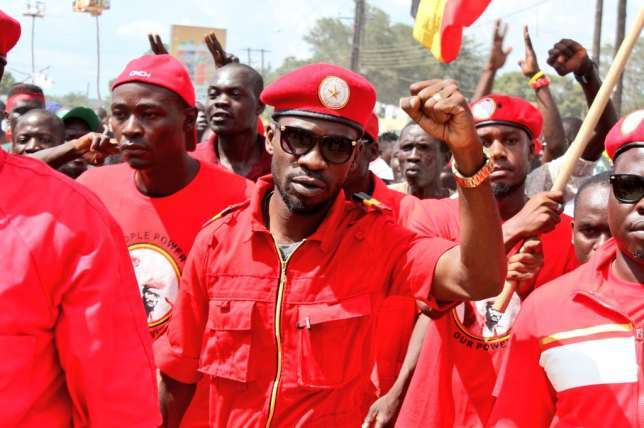 These include among others; Kassiano Wadri Arua Municipality, Robert Kyagulanyi aka Bobi Wine Kyadondo East, Gerald Karuhanga Ntungamo Municipality, Paul Mwiru Jinja East, and Mike Mabikke Makindye East. Court set stringent conditions for the Bail, especially against the newly elected Arua Municipality MP Wadri, who will not be allowed to appear in his constituency for a period of three months. An ambulance was waiting outside Court and immediately drove off with Bobi Wine upon release. Former FDC president Dr. Kiiza Besigye called the events a shame to the country. “This has been a shame to our country right from the time these people were kidnapped and tortured” he said.